Does if feel like your life stops when exams start? If you feel this way, mature student Kate has shared some of her tips on efficient, focused study you might find helpful. Kate is in her third year of a BSc Philosophy and runs a research and consulting business. I think efficient might be her middle name. Just reading stuff and writing down notes wasn’t working for me – it was an utterly dull way to learn, so I turned to storyboards and hey presto, study became more fun and my GPA increased. Take your notes, probably 30-odd pages for a semester, and start organising and condensing them onto big A2 desk-sized pages according to key topic areas making giant cheat sheets. Organise your notes into a structure using bullet points and adding notes and leave out information you know. I use felt pens, sticky notes and draw pictures and diagrams to get new information to stick in my brain. Then hang your cheat sheet on the wall. One of Kate’s cheat sheets. Breaks are really important while studying. After each A2 cheat sheet that you create, take a break. 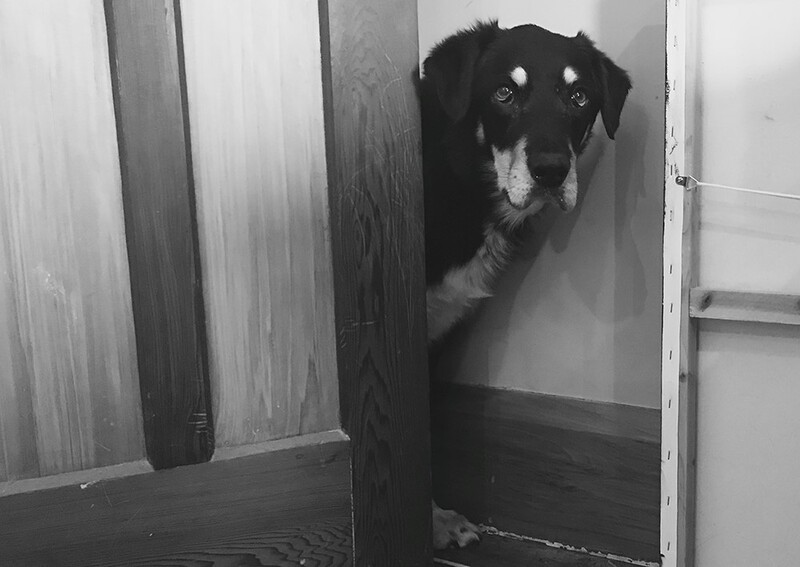 Set your alarm clock or meet a friend – I use my dog as an alarm clock to take a break and go for a walk at the beach. When you come back to do the next cheat sheet, review the previous one before getting started. Kate’s ‘alarm clock’ is ready for his study break. As the exam gets closer, aim to reduce your cheat sheet knowledge from an A2 to an A4 or smaller – the more you review the content the smaller and more concise your sheet should get. Rewriting a cheat sheet onto smaller sizes of paper as you grasp the ideas gives you confidence that you’re learning the material. It’s a myth that you can study for 12 hours straight and digest all the information. If you’re a ‘C’s get degrees’ student, it’s fine, but if you want to actually learn and do well, I find two hour study sessions with breaks, spread over a week or two, is a better approach. Extra tip: when you read new content, try to find real life examples of how it applies, it makes you more likely to remember it. Or attach the content to a real life memory, for example, if I’m learning about an engineering problem that is abstract, I think of ways it might be used in my life or I think of some wacky analogy – it helps when needing to remember lots of stuff. Do you have a handy study tip? Share it with your classmates in the comments section below. Need a break from study? Dive into a book! 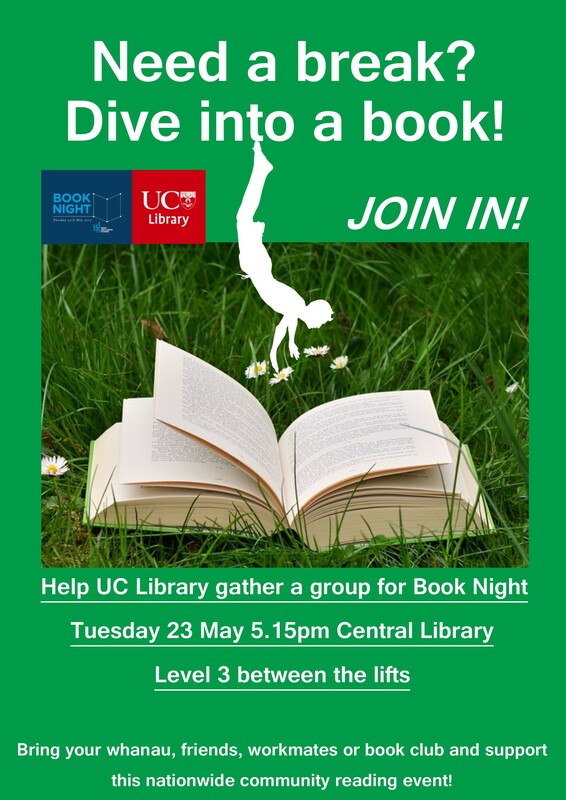 Help UC Library gather as many people as we can for Book Night 2017 on Tuesday 23 May! Meet between the lifts on Level 3 of Central Library at 5.15pm on Tuesday 23 May. Some of you explained in great detail why your favour lies with a particular colour, which was an interesting insight. 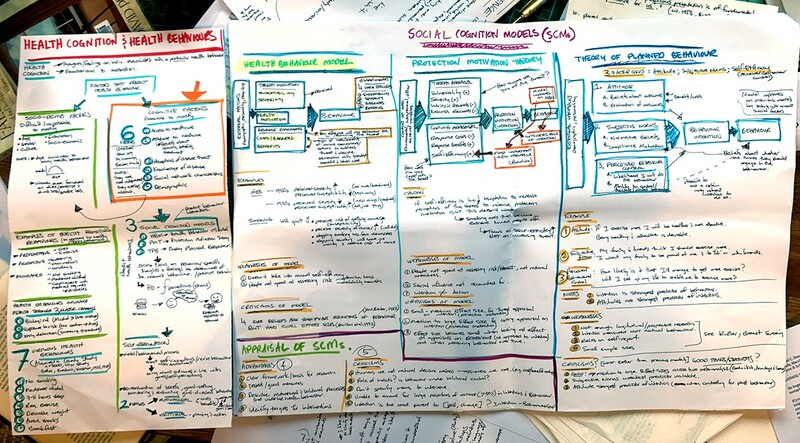 Many of you use both black and blue with a particular colour for headings, and some of you use a different colour for study notes vs lecture notes. 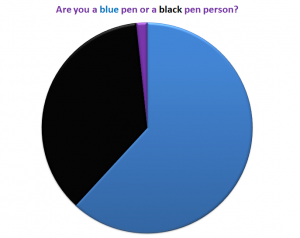 There are also many comedians among you – there were some comments that made me LOL, which I appreciated as I trawled through over 400 comments…interestingly, 13 of you all made the same joke: once you go black you never go back, which was funny the first three times. This was a most fascinating research project. Thank you to those who commented, keep an eye on your student email on Monday to see if you’ve won our epic $80 study week prize pack. Blue, of course. My life, which is full of work and assignments, is already black enough. I don’t see colour. I judge a pen on the content of it’s character. Black pen. In my mind, there is no such thing as a blue pen except for an artist. G2 .05mm. Über rare. I can’t tell the difference, I’m colour blind. Depends which colour the person beside me lends to me. Blue, as has been drummed into me since primary school. Black is for the non-conformists; kudos to you people. Second, there was a part of him – and I didn’t know how potent that part might be – that thirsted for my blood. And third, I am unconditionally and irrevocably a black pen person.